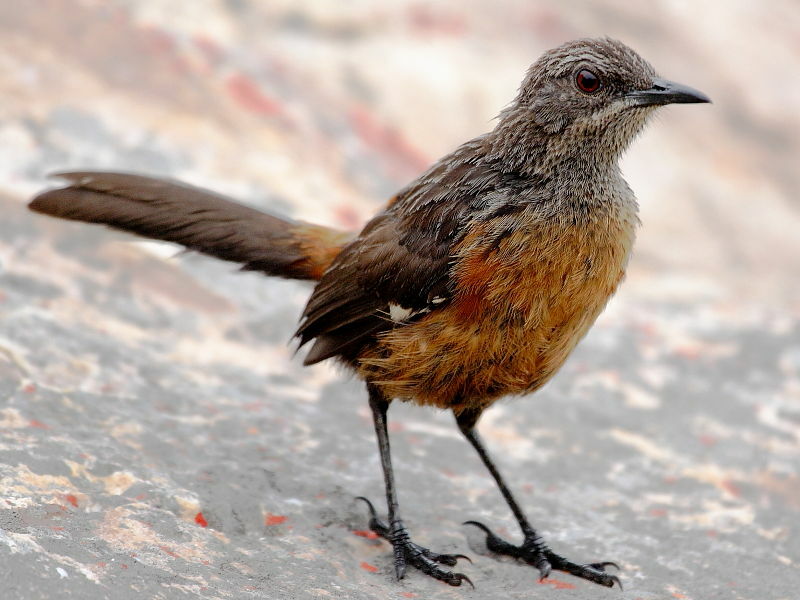 This was a bird we had really hoped to see during our trip. 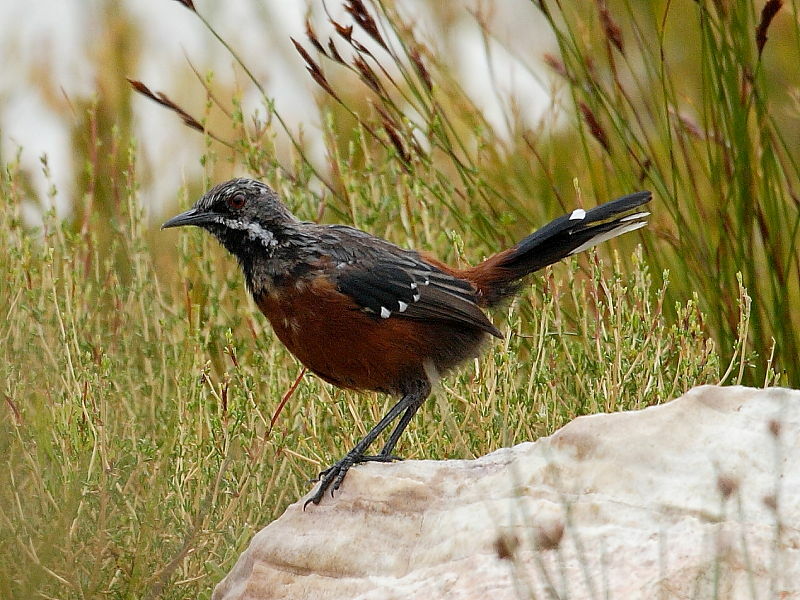 To us the Cape Rock-jumper seemed synonymous with the unique fynbos and mountainous landscape that the southern coastal area of South Africa is renowned for and to experience one without the other didn’t quite seem right. Having heard about sightings on the coast near Rooi Els, about an hours drive east out of Cape Town we didn’t take much persuading to set off. 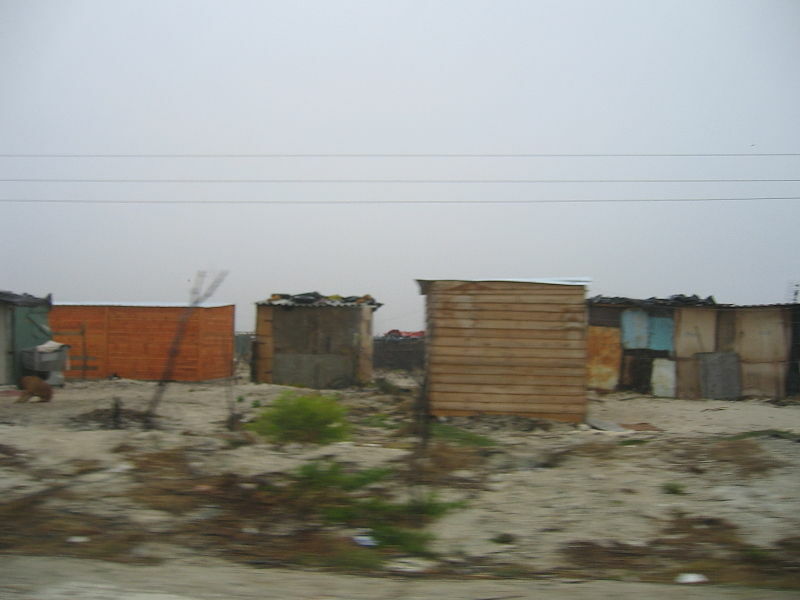 The first part of the drive from our holiday accommodation on the Cape Peninsula, along the shore of False Bay, took us past the edge of Mitchells Plain – a grim reminder that although South Africa is considered politically more stable since the ending of aparthied there are still significant problems to be overcome. To casual observers such as ourselves blessed with the luxury of being able to sample just the wonders of South Africa without the hardships it can come as a shock. 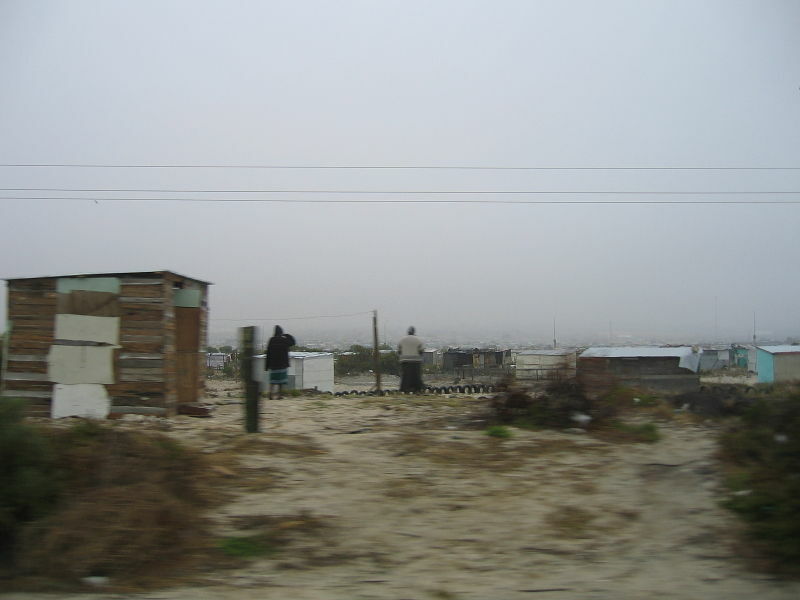 Here two worlds collided – on one side of the road there were square miles of abject squalor, while on the other, False Bay’s blue waters, white surf and long strands of pristine sand, from where breeding Southern Right Whales can be seen in season. South Africa is full of contrasts. 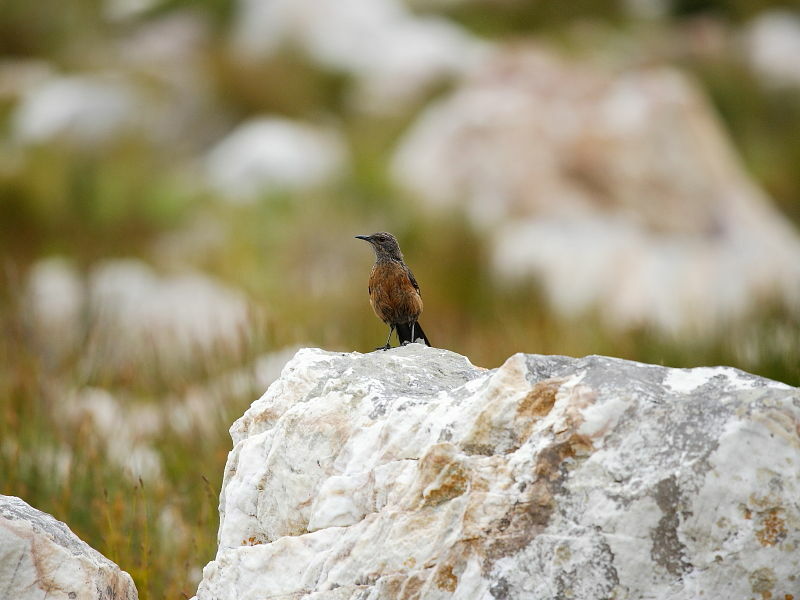 At the most easterly point of the bay we had originally intended to make a detour to spend time in the famed birding location of The Lowry Pass that dissects the Hottentots Holland Mountains. Disappointingly the Pass was closed and so we continued on, forking off to the right onto the R44, heading for the little coastal village of Rooi Els. In a little over an hour of leaving Cape Town we arrived on the outskirts of Rooi Els. Following instructions we drove on a little way before parking up in a car park beside the road. From here we walked down an unmade track running between a few scattered houses on the seaward side and the rocky, fynbos covered slopes of the Hottentots Holland Mountains on the other. As we walked we scanned the rocky slopes for movement. 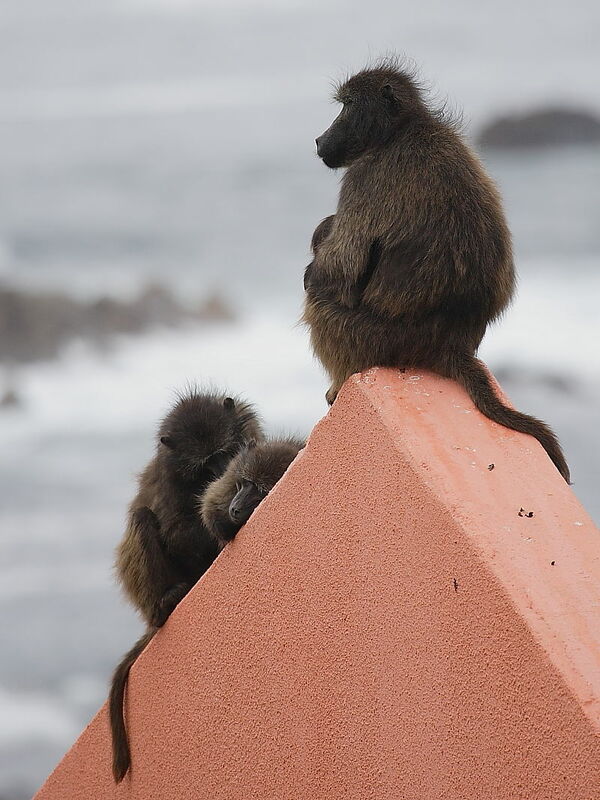 The startling bark of a Baboon perched on a nearby chimney pot cut through the air, reverberating off the rocky slopes. They really can be intimidating animals. Just watching one yawn, exposing its awesome teeth, leaves you in no doubt they are not to be messed with. 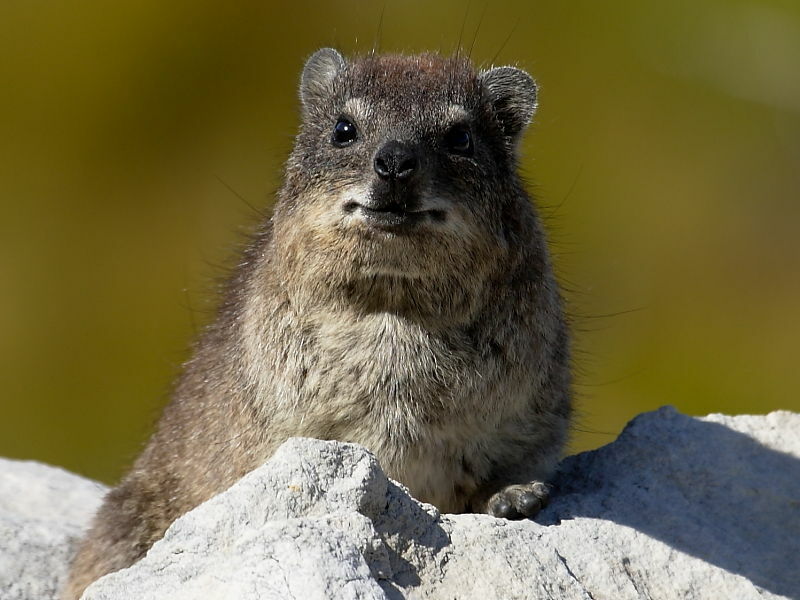 A Rock Hyrax sat on a rock watching us. Counting off the telegraph poles we soon arrived at the spot where the Rock Jumpers had been reported. For a while we scanned the scree slopes without success. 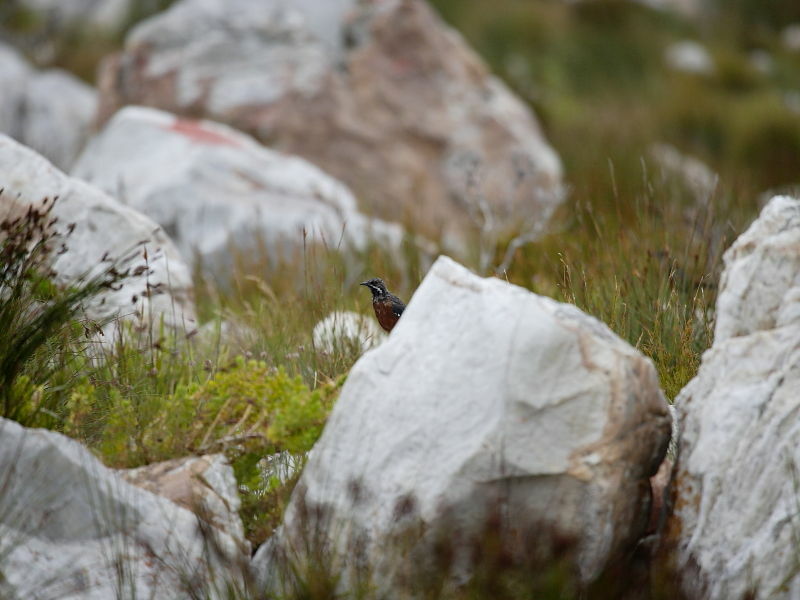 Then a movement some two hundred metres away on among some large boulders caught our attention. Threading my way around boulders I advanced. When still some distance away I got my first view of a male Cape Rock-jumper peering around a rock, watching my every move. Wanting to get some sort of record shots I took some rapid photographs. 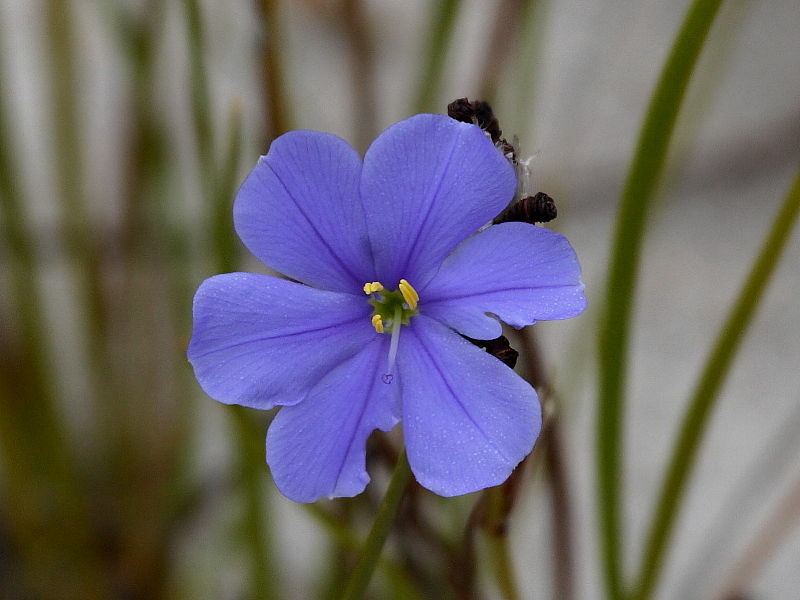 It soon became evident there was more than one, possibly a family group. For a moment they all disappeared. I was just wondering if I’d frightened them away when one appeared about fifty yards in front of me on a rock. Clunk ,clunk – my camera does have an absurdly noisy shutter. The bird disappeared again only to this time reappear barely twenty metres away ! – I couldn’t believe it – in the stillness the snapping shutter seemed louder than ever, the noise ricocheting off nearby rocks. 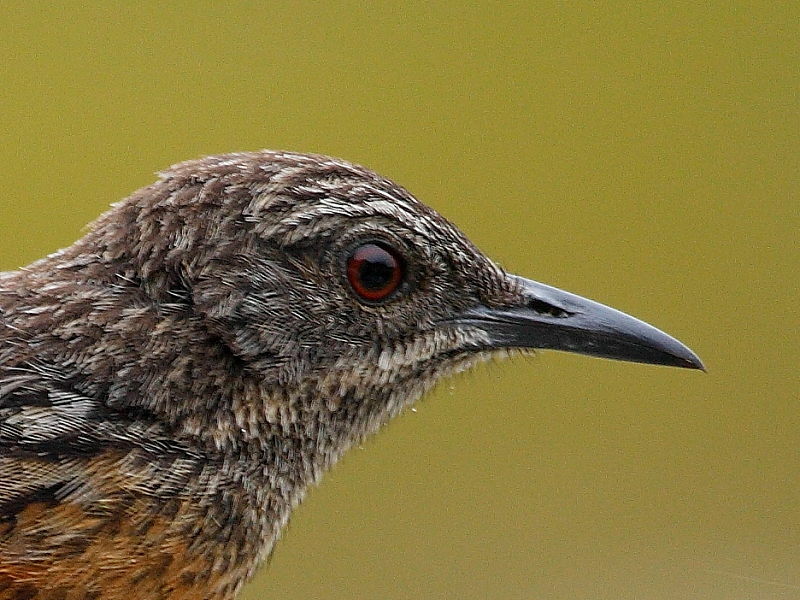 To my uneducated eyes I wasn’t sure whether the advancing bird was either a female or a juvenile. To be honest, I didn’t give it much thought. I just kept taking pictures. Then it was not ten metres away! Sat on a rock tail erect staring at me. And the more pictures I took the nearer it came. It was actually being attracted towards me by the sound of the camera shutter! And so that was how I came to have a Cape Rock-jumper so close to me that I couldn’t get the whole of it into focus even with a 100-400mm lens fully retracted. Once it had departed I turned to look back at Claire who was watching events from the track. My face apparently said it all. 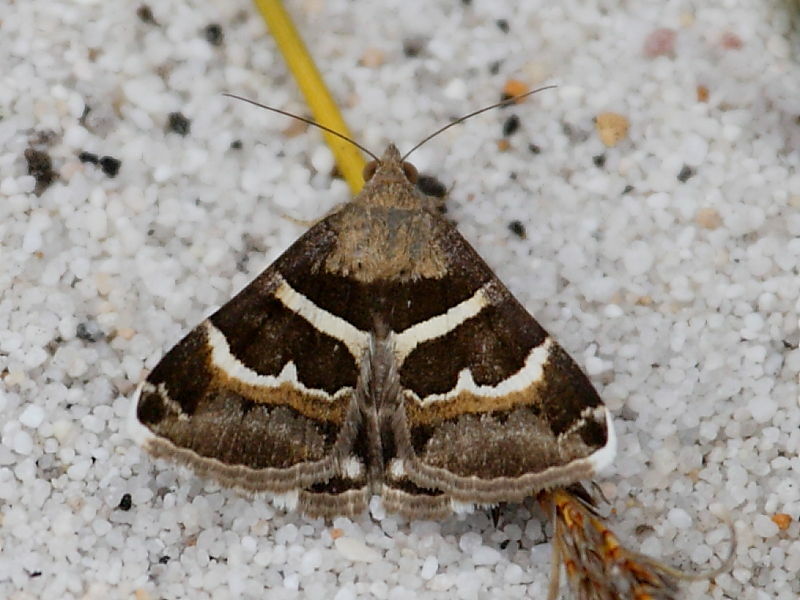 As I picked my way carefully around the boulders on the way back, The Cape Of Good Hope Puff Adder still clearly etched in my mind, I came across a Geometrician, a moth that is a very rare migrant back in the Uk and one I’d never seen before. Needless to say, we were probably very fortunate to have had such a close up encounter with Cape Rock-jumpers, which alone made the trip worthwhile. 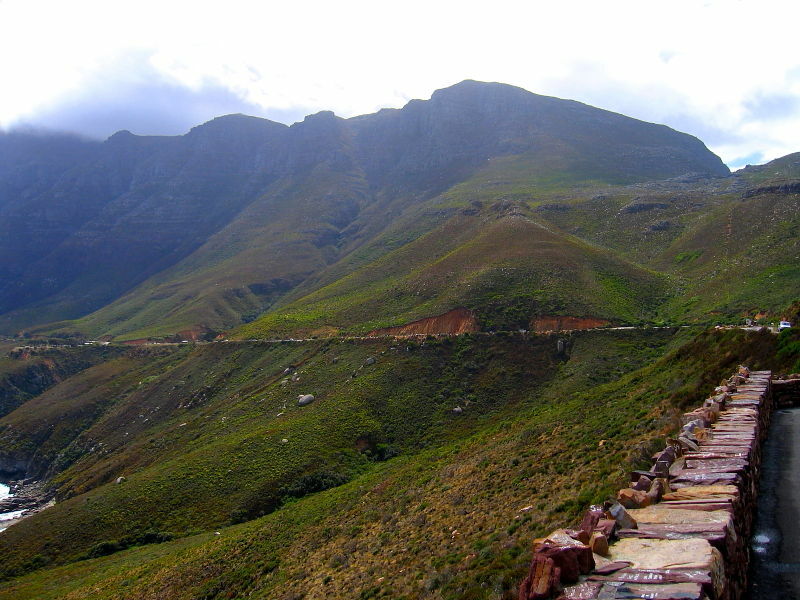 This certainly made up for our disappointment at Lowry’s Pass being blocked off during our visit. 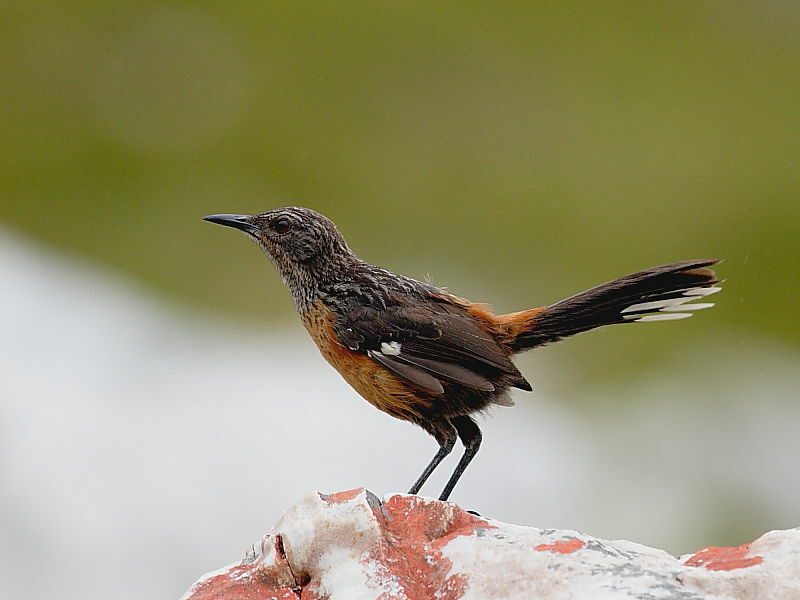 Other birds were quite scarce with only a distant view of a Ground Wood-pecker and no sign of either Black Eagle or Rock Thrush, birds the area was noted for. 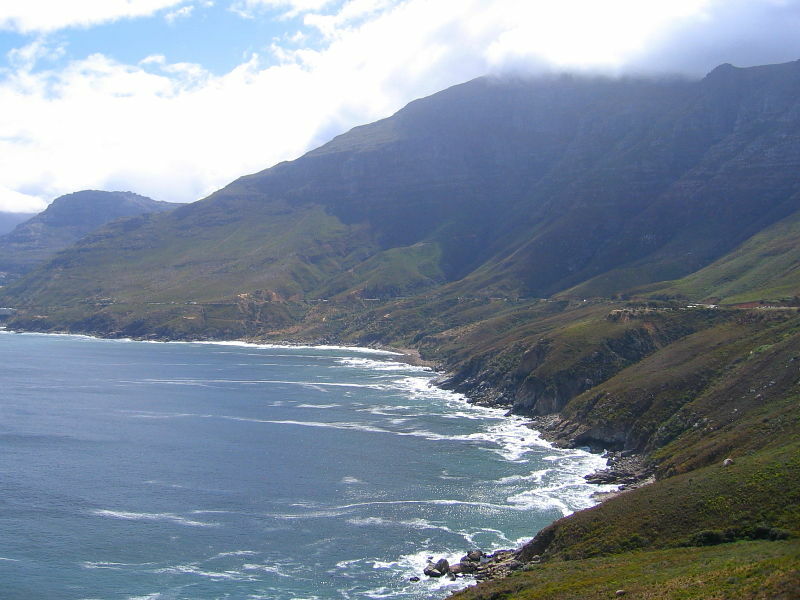 The spectacular drive along the coastal road and seeing the holiday villages of Rooi Els and Betty’s Bay added to the day. 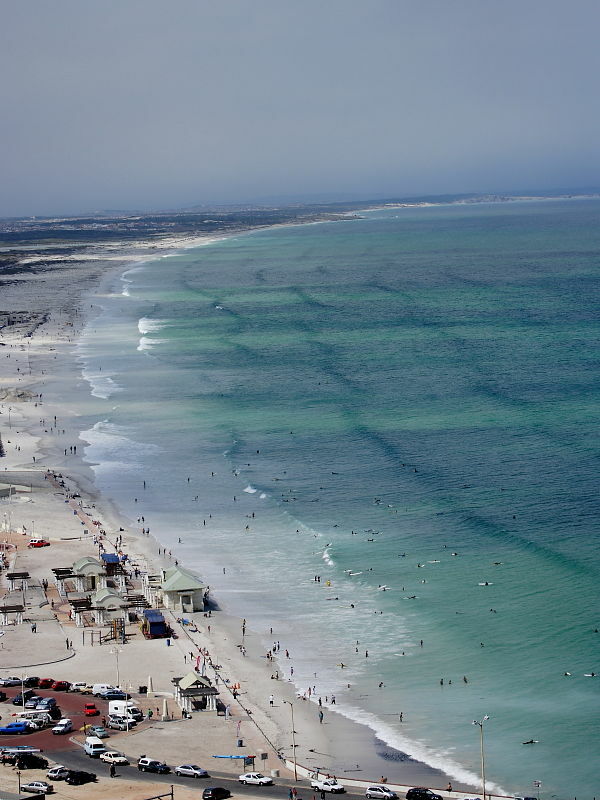 If in South Africa between June and November another visit incorporating an excursion into St Lowry’s Pass and some whale watching from the coastal road would certainly make a return visit to this area a high priority for us. Day 9 and we popped into the historic port of Simon’s Town to watch Fur Seals feeding at close hand among the small tuna fishing boats.